B-I-X-B-Y! We have much to cheer about! 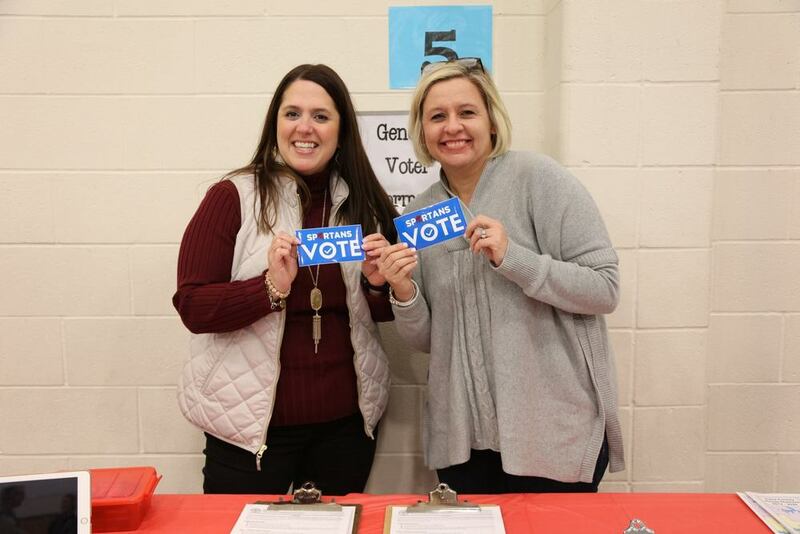 Monday, January 28th, Bixby PLAC & Bixby Education Association hosted our 4th Annual Legislative Advocacy Night! All of Bixby's legislative representatives were in attendance for the first time! Spartans at the Capitol and Spartans Vote have made an immeasurable impact. The 2018 Legislative Session was one of major progress, including a long-awaited pay raise for teachers and support staff, continued movement away from solely test-based accountability and “one size fits few” curriculum to more focus on innovation and individualization, and heightened awareness across Oklahoma on the negative effects of funding cuts over the past six years. Speaking of cheering, you won't want to miss the Spartan Cheerleaders' full routine that got the crowd pumped up for the 2019 Session! Check out the video of the evening’s event here. What do we foresee coming up in the 2019 Session? Medical marijuana and impacts on employment, possession on campus, etc. How can you stay up-to-date? Don’t underestimate the power of your voice! Join us as we continue the movement and work toward a better Oklahoma for all kids! Sign up to join Spartans at the Capitol!